Things to bring to Year 5 every day. Reading book and reading record book - we read every day. Year 5 are very busy learning all about the 'terrible Tudors' through our topic 'Off with her head!'. 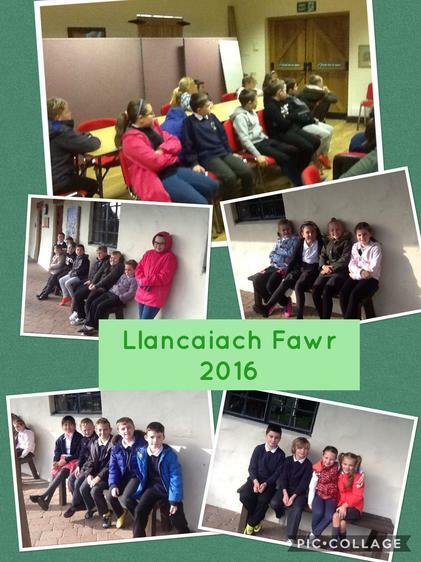 A visit to Llancaiach Fawr helped us understand how people lived during the Tudor times. During Roald Dahl week we wrote letters to the giants in the BFG, explaining to them about Children's Rights and why their behaviour was unacceptable. We found out what happened in the Battle of Bosworth. We pretended to be newspaper reporters and interviewed each other. Some of us really showed our dramatic talents! We wrote a report about all that happened between King Richard and Henry VI. We were very surprised at King Henry VIII and how he treated his wives. We wrote a dairy account of Lady Jane Gray and retold the story of Midsummer Night's Dream. We practised reading and writing numbers to 100,000....some of us to 1,000,000. We compared numbers to 1 and 2 decimal places. We added and subtracted numbers using different methods and solved word problems all about King Henry's army. We found out about measuring accurately and why it is so important. We estimated and measured length, weight and capacity. 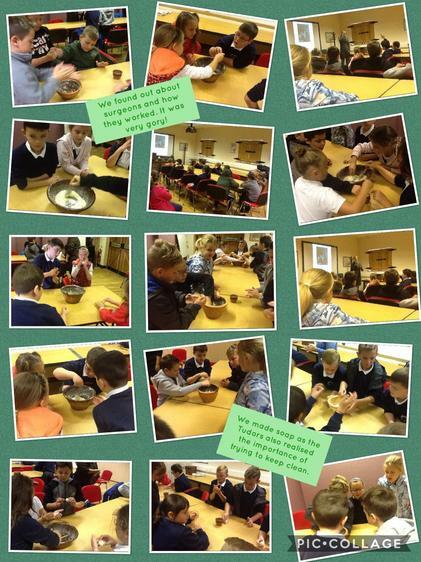 We used our measuring skills in Science, weighing a variety of foods in our investigation into evaporation. We worked on finding out fractions of numbers...this was hard work, but we kept trying our best. Our Science topic was Materials. We found out about solids, liquids and gases. The Water Cycle was very interesting....especially when we created rain in our classroom!!! Wow!! We are going to continue with this topic next term.